The EdgeSwitch XG offers the forwarding capacity to simultaneously process traffic on all ports at line rate without any packet loss. For its total, non-blocking throughput, the EdgeSwitch XG supports up to 160 Gbps. 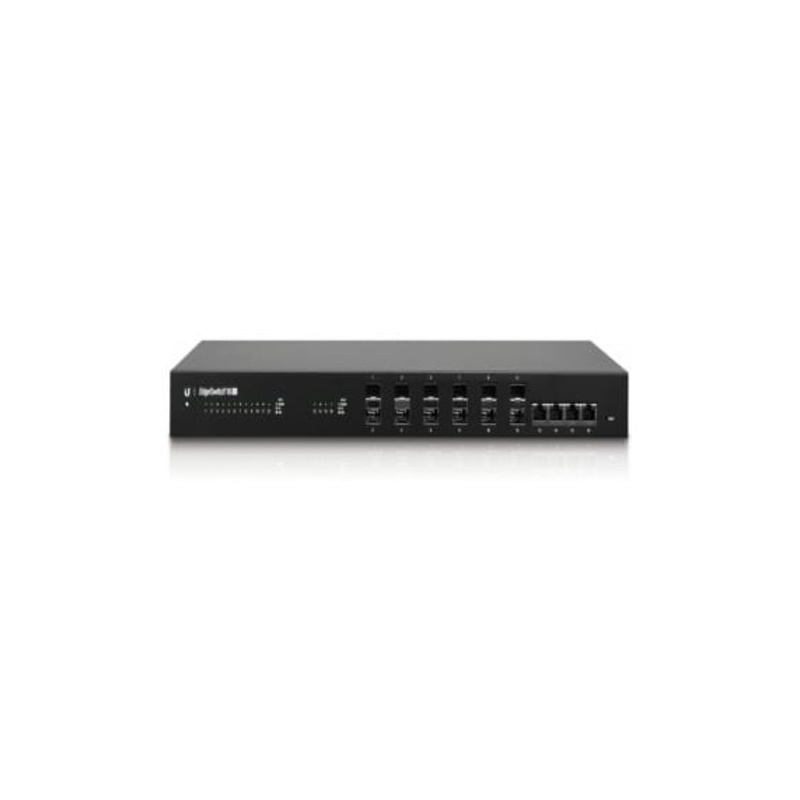 The EdgeSwitch XG offers maximum performance and low latency as an aggregation switch. For fiber connectivity, it features 12 SFP+ ports. For copper connectivity, the EdgeSwitch XG offers four RJ45 ports that support 10GBASE-T, the standard for 10 Gbps connections using Cat6 (or higher) cabling and RJ45 connectors. Designed for convenient management, the EdgeSwitch Configuration Interface allows administrators to configure and monitor switch features in a graphical user interface. For advanced users, an industry-standard command-line interface (CLI) is available through the serial console port, telnet, and SSH. 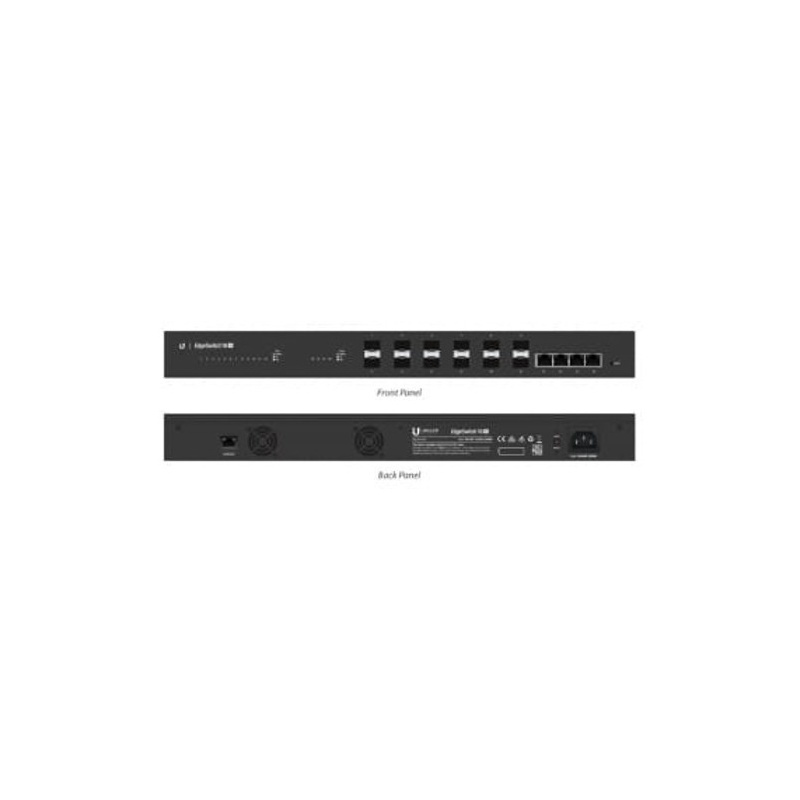 The Ubiquiti EdgeSwitch XG is part of the EdgeMAX line of products, and is a fully managed, 10G fiber switch that enhances network capacity and provides high-bandwidth services to growing networks. The EdgeSwitch XG offers an extensive suite of advanced Layer-2 switching features and protocols, and also provides Layer-3 routing capability.